If you’re having problems with your car because it lasts too long to start or is having a problem with the ignition system, it can be a problem with your distributor. However, to be more certain about the exact problem your car is having, you’ll have to take a look at your car and test your distributor. Many people have problems with this part of their car, especially because it is the main responsible for ignition issues and starting problems. Failing distributors can end up in engine problems and eventually, a really harmed performance of your car.That’s why it is important to test your distributor in order to avoid future engine problems with your car and fix that ignition problem which can be really annoying. But is there a perfect way how to test distributor to find out what the real problem is? – Well, in this article you will have different ways to test you distributor against failures and to know exactly what the real problem of your car is if you follow these steps. Have You Found Your Problem? These are not steps exactly, but they are ordered by importance, this means that the first way to test your distributor is the most common problem many distributors have, so check your car in this order in order to do it in a sort of eliminating method. 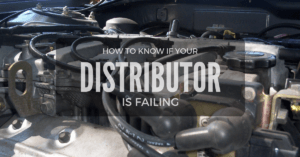 The distributor cap could be the problem you’ve been facing all along. This part of the car should be inspected like the first suspect because it is the one that makes the sparks. 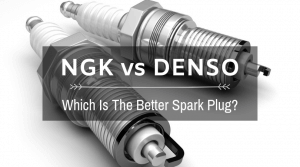 To know if the Distributor cap is not having any problem, the sparks should be arcing correctly and the surface of the cap should be completely clean. After doing this, you’ll have to take your Distributor Cap out of your car by using your ratchet and socket, depending on how big your car is. After getting it out you should look for sign of damaging. If you find any erosion, rust or corrosion, it may be the cause of your problem. Also, the distributor cap rotor should be checked too, as this part is the one responsible for making the sparks travel from one cap to another and its condition is really important. The entire distributor cap should be checked for any sign of burns or carbon traces. 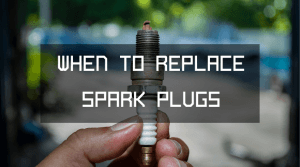 If any carbon trace is found, this could be the problem, as carbon traces can get the distributor to work improperly by misfiring a spark between the plugs and terminating in a failed electric connection. You can also watch the video of Innova Products in which they explain how to test the distributor cap and rotor of an Acura 1996. If your distributor caps are ok, you’ll have to check the contact points on the distributor. This should be done after inspecting the condenser.This part of the car shouldn’t be opened or damaged, as it can mean that a wire lead is broken and the electrical connection is not functioning properly. 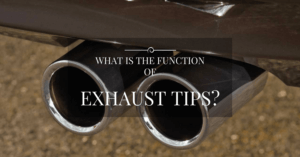 This kind of problem can end up in arcing and burn on the engine, which can damage it big. After checking that, you’ll have to take a look at the contact points. Just like the distributor caps, these parts are really important, and if they are damaged they can cause multiple issues with your car, like an ignition problem. You’ll have to look closely to the contact points in search of any corrosion, degradation or any sign of damaging, if they look burned or damaged, they should be replaced. Watch this video on how to test your contact points and condenser of your distributor, video made by Just Kampers. In this part, you’ll have to pull the plug wires off and test them. You can check the arc of a distributor with a spark tester by putting it in the metal of the plug wire. Try to fire your ignition and watch if the arc is firing and the ignition is working correctly, if your tester has a sign of sparks it means that the problem is not on the arc. If there’s not a spark when testing, you can use a test light by connecting to the side of the coil and crank the engine to see if the light flashes, if this happens, the problem is on the coil. 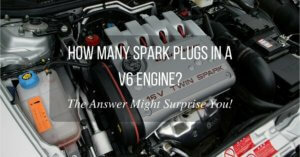 If it sparks, it means that the problem could be on the distributor cap, rotor or wires. If it doesn’t make any spark of flashes, it can be an electrical problem. You’ll have to use your spark tester with the coil on positive, if it powers on positive, it means that the coil is bad, if it powers to both the positive and negative, it means that it could be a contact points problem, however, if any of the sides works, it means that you’ll have to trace the wiring of the ignition further. You can check each plug wire with this method to see if your car is having a misfire or faulty connection and thus an ignition issue that is annoying you. 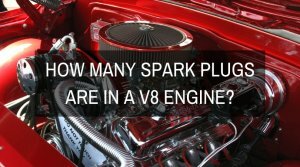 Check this video to see how to test a distributor cap with a spark tester or test light, video made by ScannerDanner. You can also check your distributor arc with a metal screwdriver by making contact with the distributor electrical plugs. You can use a test light, a spark tester or a voltage meter in this step. You can use the INNOVA ﻿3320 to test the sparks and electrical current of your distributor coils. After checking all of the above and finding out that all of them are ok, it means that you’ll have to look further. 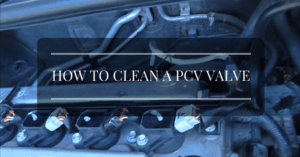 In this step you’ll have to pull the fat coil of the distributor cap and plug it into one of the spark plugs, after this and touching with a ground, you should be able to see a spark in the plug. If this happens, the problem lays on the distributor. Now, you’ll have to reconnect the coil wire to the distributor. Take the distributor cap off and crank the engine, you should see a spark. 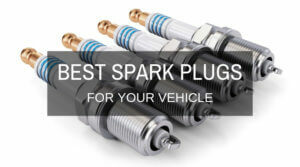 If no spark is seen, it means that the problem could be the contact points. To try them you’ll have to use a cardboard and check the power by cranking the engine, if the machine powers, it means that the points were grounded or shorted. It is likely that the wire was disconnected or wrongly connected to the stud, depending on the type of distributor. However, there should be two plastic bushings protecting both contact points, to prevent metal touching when igniting. If these are not found, that could be the problem. This steps list is written in a way that the reader can being by testing its distributor with the first step, if he doesn’t find the problem with it, he can then go to the next and so on. It is very important for the reader to know that these are proved ways to test and check problems with the distributor; however, you may not find the cause of your ignition problem as this can be due to other issues. Remember that all these steps are tested and most of them should show some results. Try to follow every step as it is portrayed in the article and you will eventually find out your distributor problem. By finding out what’s exactly the issue with your distributor you will be able to repair it and eventually avoid any further ignition or engine problem with your car. 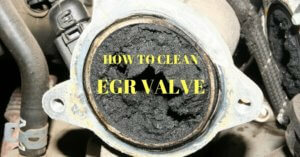 Follow the instructions and find out what your car ignition problem is. If you haven’t found your problem yet it means that you pass on one of these steps or you just did it wrong. However, there are cases in which an ignition problem doesn’t mean that it comes from the distributor, so I recommend you to look for any expert mechanic help if you didn’t found the reason after following the above instructions. Take into account that distributor should be treated with care, as this part are electrical-mechanical parts that can be damaged easily if not treated well. 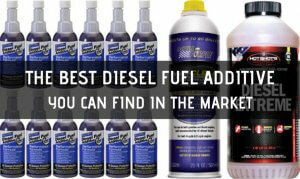 However, finding out the problem of your car should be an easy task. If you’ve found out your problem with the help of this article, share your opinions and comments below. We’d like to hear about your experiences with faulty distributors.